Nergis Mavalvala, professor of physics at the Massachusetts Institute of Technology (MIT) in Cambridge, can check off a whole lot of boxes on the diversity form. She isn't just a woman in physics, which is rare enough. She is an immigrant from Pakistan and a self-described “out, queer person of color.” “I don’t mind being on the fringes of any social group,” she says. With a toothy grin, the gregarious mother of a 4-year-old child explains why she likes her outsider status: “You are less constrained by the rules.” She may still be an outsider, but she's no longer obscure; her 2010 MacArthur Fellowship saw to that. In addition to the cash and the honor, the award came with opportunities to speak to an interested public about her somewhat esoteric research. “That is the best part,” she says. 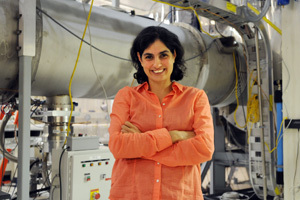 Mavalvala and her collaborators are fashioning an ultrasensitive telescope designed to catch a glimpse of gravitational waves. Albert Einstein predicted the existence of these ripples in spacetime nearly a century ago, but they haven’t been observed directly yet. Theoretically a consequence of violent cosmic events—the collisions of black holes, the explosive deaths of stars, or even the big bang—gravitational waves could provide a brand new lens for studying the universe. When she became a MacArthur fellow, former female students wrote to her saying that she was a model for what was possible for women. At different points in her scientific career, lesbian and gay students and colleagues mentioned something similar: They had been inspired by the example she had set for them. She embraces her role as role model. Something important is happening, she believes. “I am just myself,” she says. “But out of that comes something positive.” By being just herself, she is a source of inspiration for a wide range of individuals from groups underrepresented in the physical sciences. Mavalvala says that although it may not be immediately apparent, she is a product of good mentoring. From the chemistry teacher in Pakistan who let her play with reagents in the lab after school to the head of the physics department at MIT, who supported her work when she joined the faculty in 2002, she has encountered several encouraging people on her journey. In the 10 years since, she has passed on her infectious enthusiasm for the LIGO project to many of her graduate students. “That is exactly what we were hoping for,” says Stanley Whitcomb, LIGO chief scientist at Caltech. “When she speaks to reviewers from NSF, or casual visitors to the observatory, she always made it a point to present technical details clearly. At the same time, she conveys that the work is fun.” The skill and desire to reach out to a broader audience, he remarks, is not a common trait among researchers. Catching gravitational waves may be more challenging than we thought. Since there wouldn't be one source of it but several thousand in our vicinity around us, all cancelling each other and scrambling up the whole picture. Even if there is no interference, a gravitational wave is something like a change in dimensions equal to a diameter of an atom for a length perhaps in equal to the diameter of our solar system. But then it is a very interesting perspective. Fingers crossed. 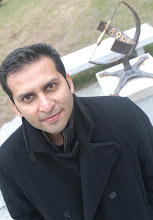 Nergis and Sarah Alam Malik are example for Pakistani females who are ambitious and hopeful. Mother of four and a lesbian?? ...which one of the 11 dimensions is missing here?